← YYYIIIPPPEEE!!! I’m in the Top 8 of Stubhub’s Let You Fan Out!!! 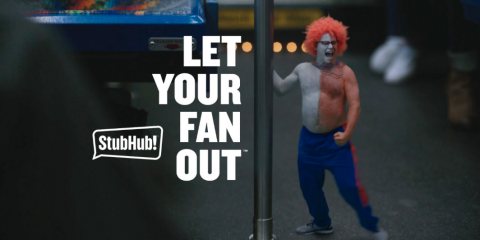 I Am Honored to be Top 8 Finalists for Stubhub’s “Let Your Fan Out”!!! Come Out & Let’s Have Fun Together!!! I’m in the Top 8 Finalists for Stubhub’s Let your Fan Out!!! to be Crowned LA’S #1 Super Fan The Contest is on Thursday November 12 at 4:30pm-7:00pm at L.A Live across the street from Staples Center!!! .. Come Out and Support your Boy!! !